South Africa Dangerous Game - South Africa Hunting Packages! We are your guide to adventure worlwide: Africa, South America, Costa Rica, Bolivia, Guatemala, Panama, Nebraska. Now is the time to hunt Sable! This hunt takes place in the Northwest Province near the Botswana border. It is a full package with five days, four nights - that's three full days of hunting! This is an all inclusive package that offers all meals, accommodation, soft drinks, 1 x1 hunting with PH, trackers, skinners, and field prep of trophy, even return transfers. For a nominal fee non-hunters can tag along and share the experience of hunting dangerous game in South Africa! On top of that, this hunt is easy to add to any safari in Southern Africa. The packages include the following: All meals, accommodation, soft drinks, 1 x1 hunting with PH, trackers, skinners, field prep of trophy, return transfers from Johannesburg. Offer valid for sable up to 40". Trophies 40" and over priced on request. Add this hunt to any safari in Southern Africa! 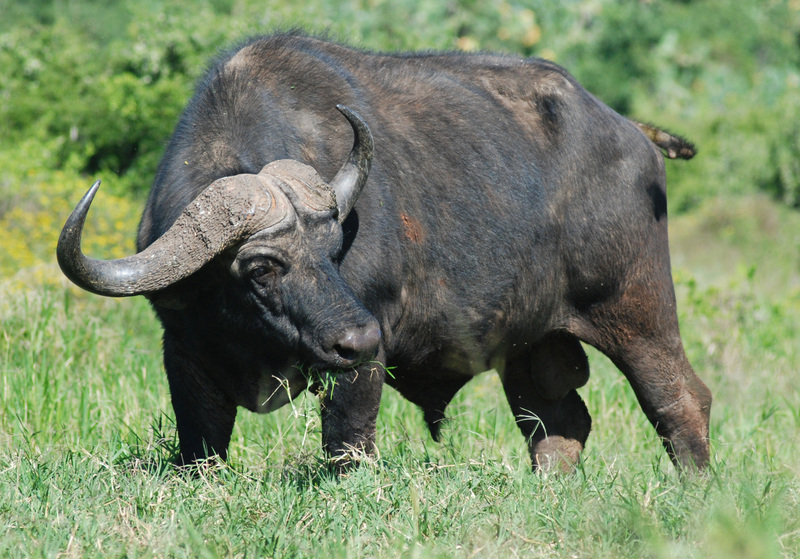 Cape Buffalo Package 1 $7,900.00 - 7 days NO SIZE LIMIT! This is a full 7 days of hunting up in the Northwest province of South Africa. Package includes transfers from Johannesburg as well as 1 x 1 hunting and all accommodations, meals, etc! Now is the time to hunt buffalo, men! Just that simple. 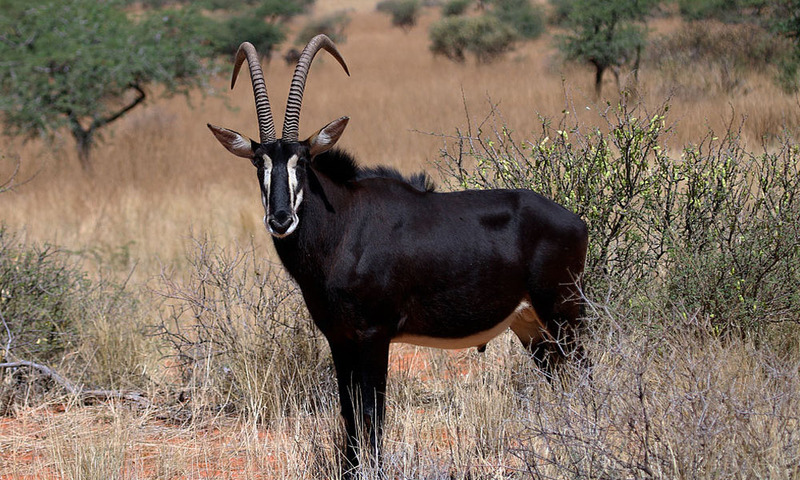 Other species can be hunted in the same area including Sable, Kudu and Nyala. Contact us for a custom package. Non-hunters are $200 per day. Rifle or bow. Turn this package into a Buffalo/Sable combo for $12,500.00! Hunt both these species at the same time and save big. NO SIZE LIMIT ON EITHER SPECIES! This is the best price we have ever had on a combo hunt for these two animals. These are all top-quality trophies but due to the current exchange rate between the South African Rand and the US Dollar we can pass on a huge savings to our clients. Take advantage of this situation while you can! Our PH will guarantee this rate for 2017 and 2018 with a small deposit. (fully refundable - ask for details) Lock in now! Five-day package is 4 full days hunting 1 x 1. Includes all meals, accommodation, bar, Services of PH and trackers, transfers from Johannesburg and field prep of trophy. Larger bulls are possible. If you have never been to Zululand in the eastern part of South Africa you are in for a treat! This area is the traditional home to the Zulu Tribe and is very different in flora and Fauna from Limpopo or the Eastern Cape were many of you may have hunted in the past. We have outstanding bulls that offer a challenging hunt. Extensions after the hunt to the Kruger Park and the coast are easy to add. Contact us for itinerary ideas! Additional animals can be taken as per the trophy list. (furnished on request). Nyala are very inexpensive here ($1,200.00) and can be taken with a bow. Non-hunters are $200 per day. Lodge has pool and all the amenities. No hidden charges! This is the complete package with return transfers from Johannesburg. If you ever dreamed of taking on the "Black Death" now is the time! 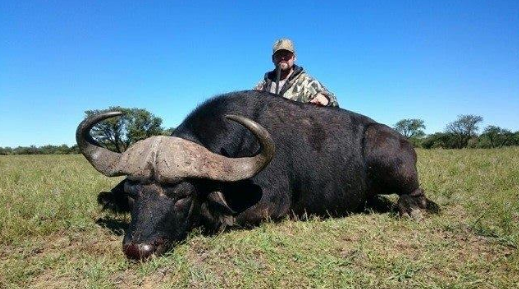 This hunt is easy to add to any hunt you may have planned for southern Africa! Click here for our Trophy List.